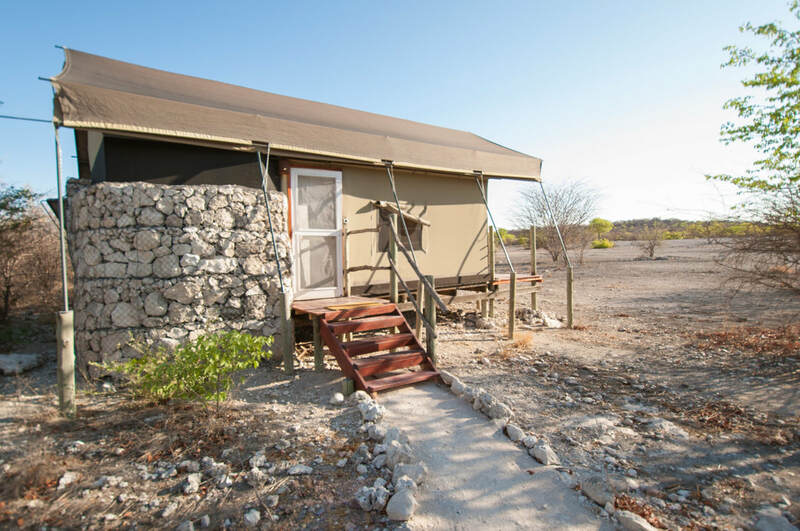 Our Second camp on our Self-Drive Safari through Namibia was at Anderssons Camp in the Ongava Game Reserve. 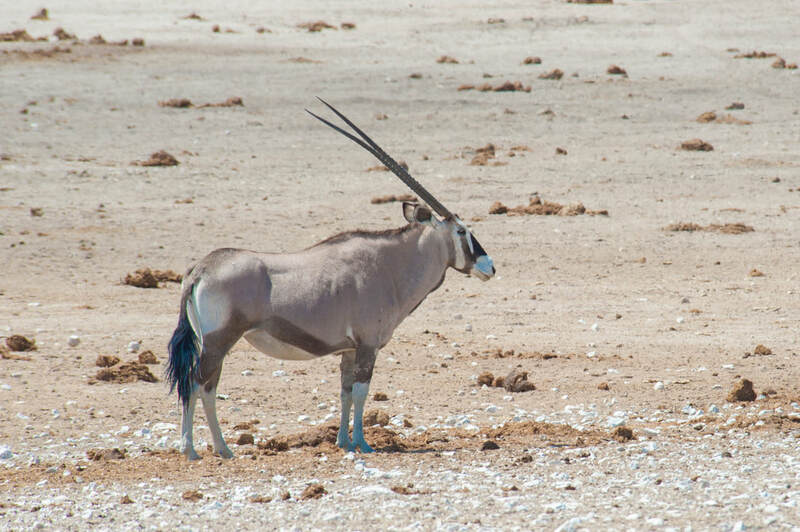 It's right outside the southern gate of Etosha National Park, Anderssons Gate. 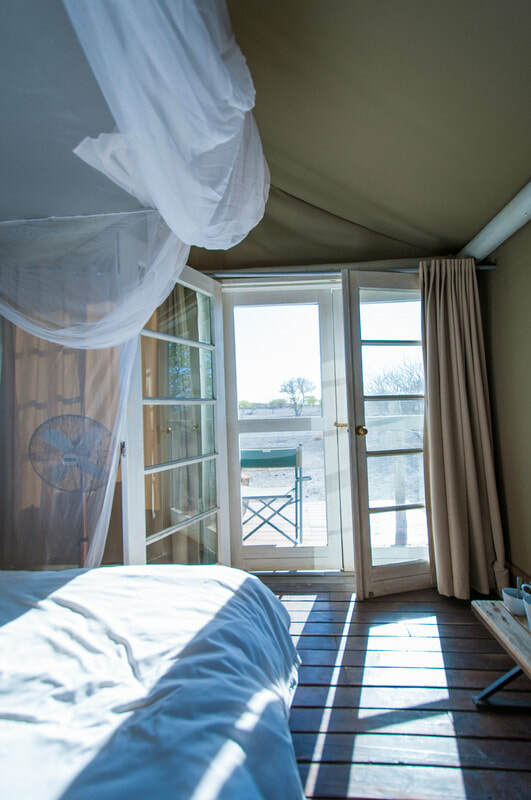 There are several lodges in the Ongava Game Reserve and if you get the choice stay at either Ongava Lodge, Little Ongava or Tented Camp. We stayed at Anderssons because there was no availability at the others. 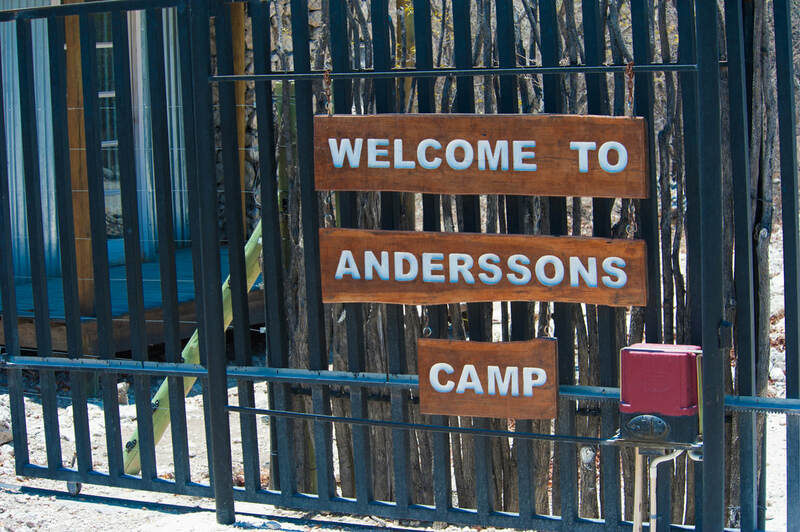 After coming from our first camp, Anderssons was quite a disappointment. Yes, this is the snob in me coming out. We heard the same expressions from other guests as well. 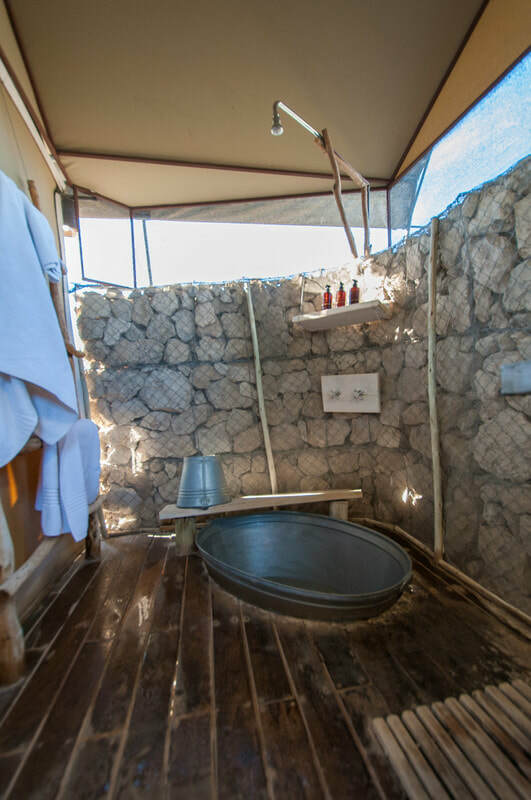 Our accommodations here were actually very nice and the staff was wonderful. 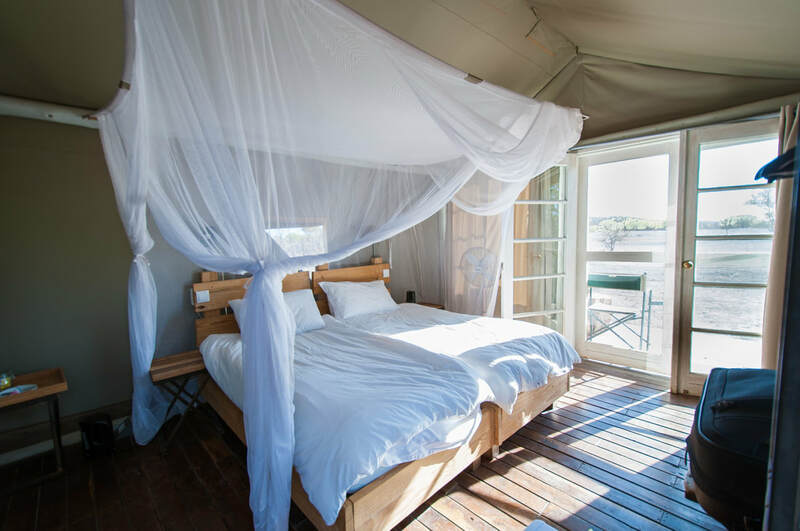 But it didn't have half the charm or luxury that we just experienced at Onguma Tented Camp. You may now begin to roll your eyes. It did however have a very nice outdoor area for dining with a waterhole 50 feet away. 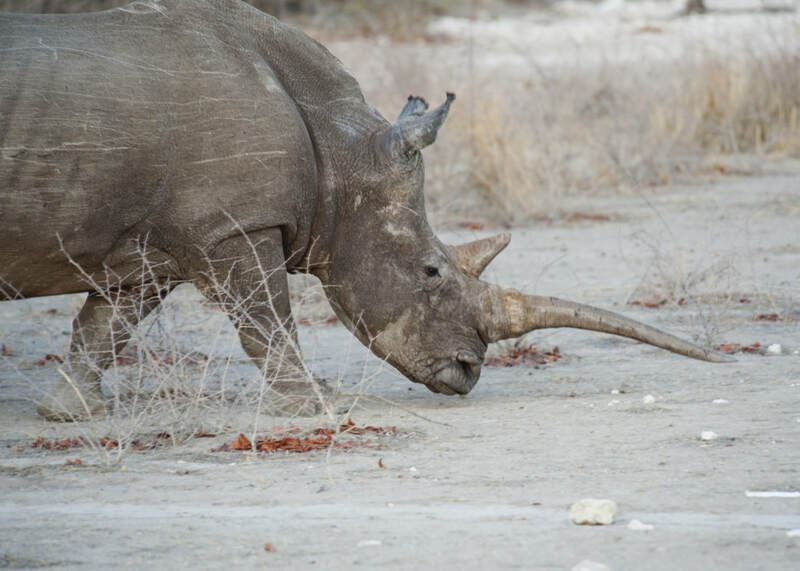 We were greeted by a thirsty rhino both nights we were there. 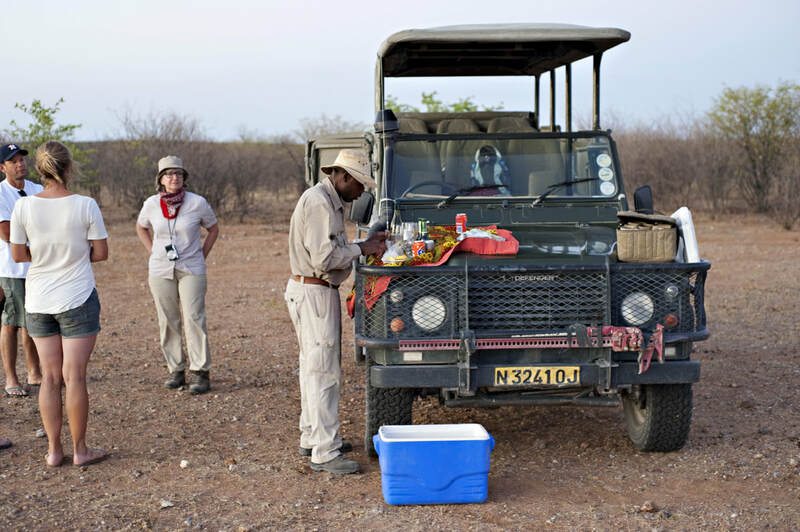 At Anderssons, a guided game drive was included, which was a nice change for us. 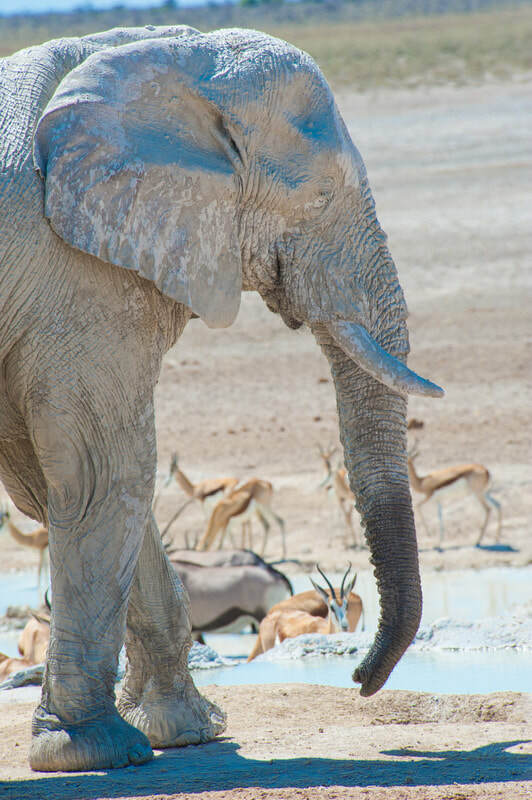 We had been driving ourselves through Etosha and we were looking forward to sitting back and letting someone else take the lead. 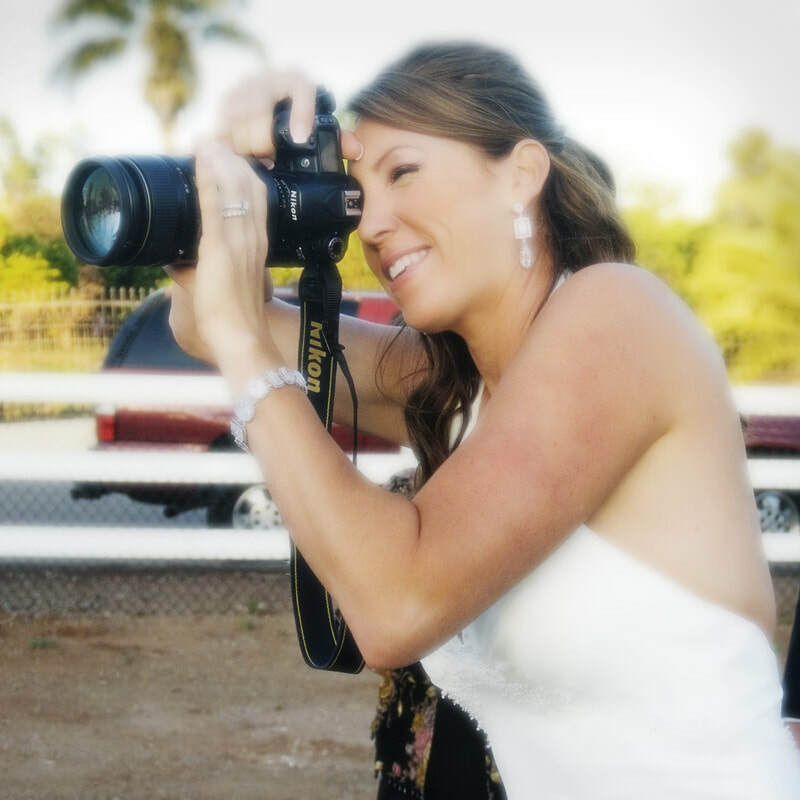 This is where having a professional really makes the experience so much more interesting. The knowledge they share about your surroundings will have you on a constant loop of saying "ooohhhhhhh, interesting!, I didn't know that." 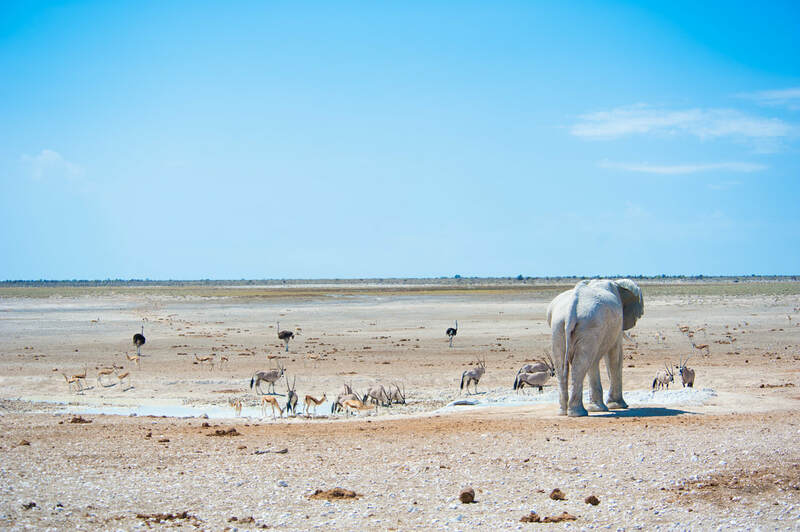 Etosha, which mean "Great White Place" is the largest salt pan in Africa. 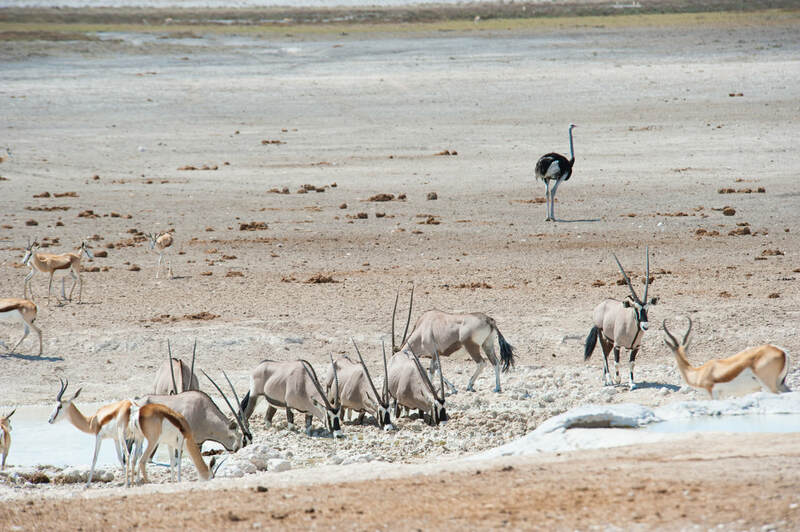 This makes for a very beautiful contrasting landscape where the animals look like mirages in the distance. 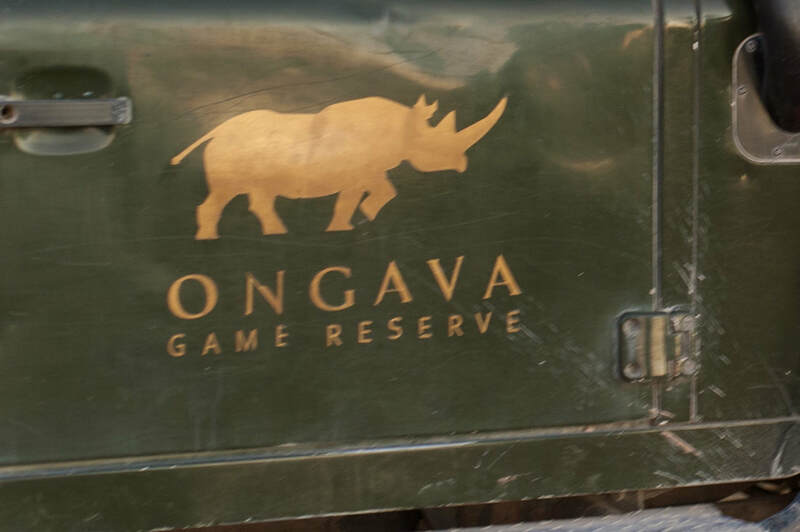 Also included at Andersons was a game drive through the Ongava Game Reserve. 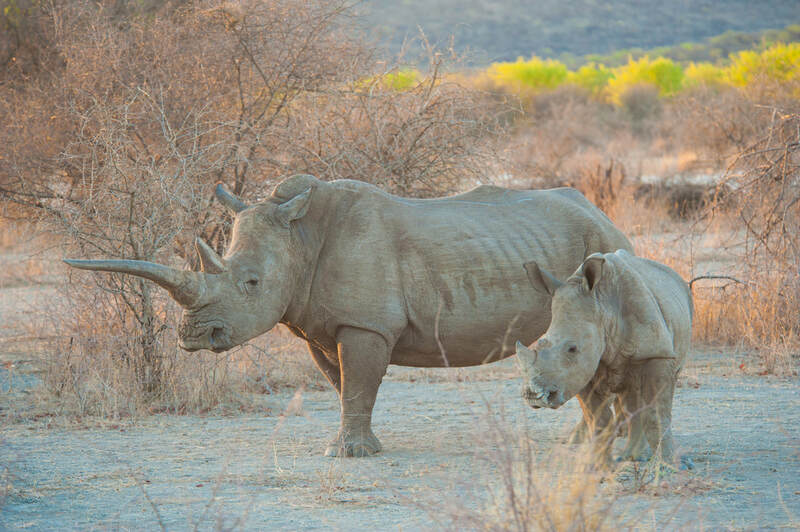 We lucked out with our up close viewing of this mother rhino and her calf. 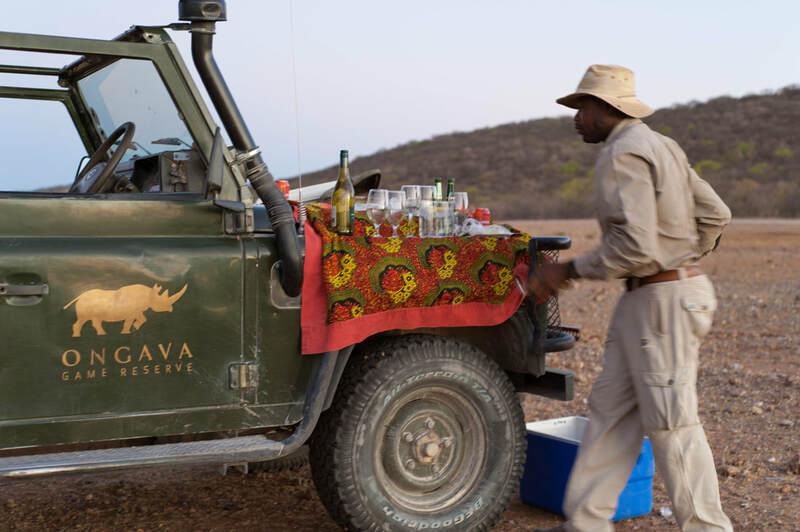 Something else you only get when doing a private game drive is the sundowners. 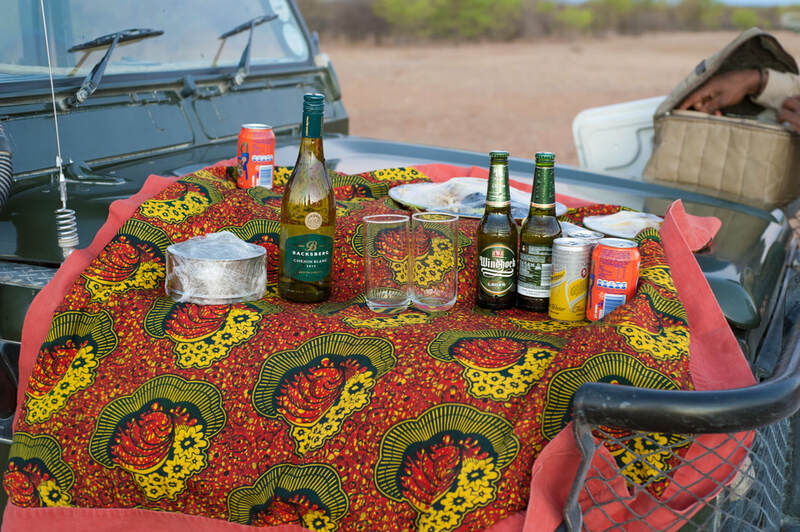 As the sun is setting, a bar is set up and you are given an opportunity to stretch you legs, watch the sunset with new friends and reflect of the adventures of the day. 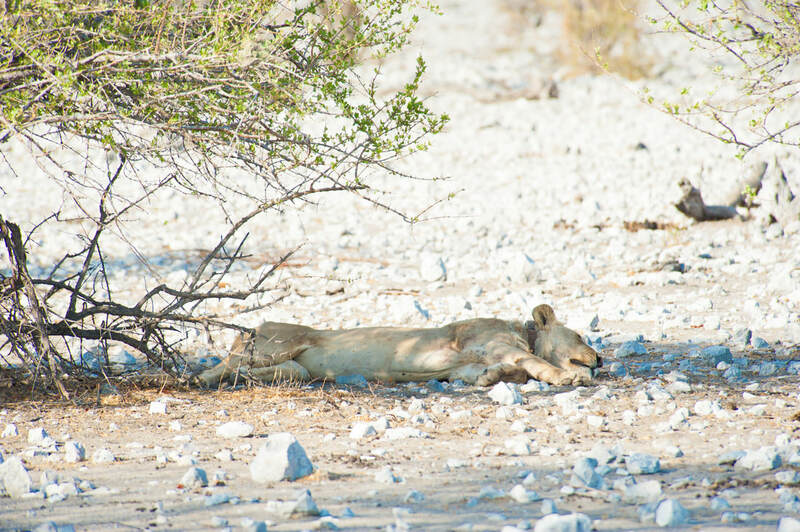 To read part 1 of our Namibia Self-Drive Safari Through Etosha and our stay at Onguma Tented Camp, click here. 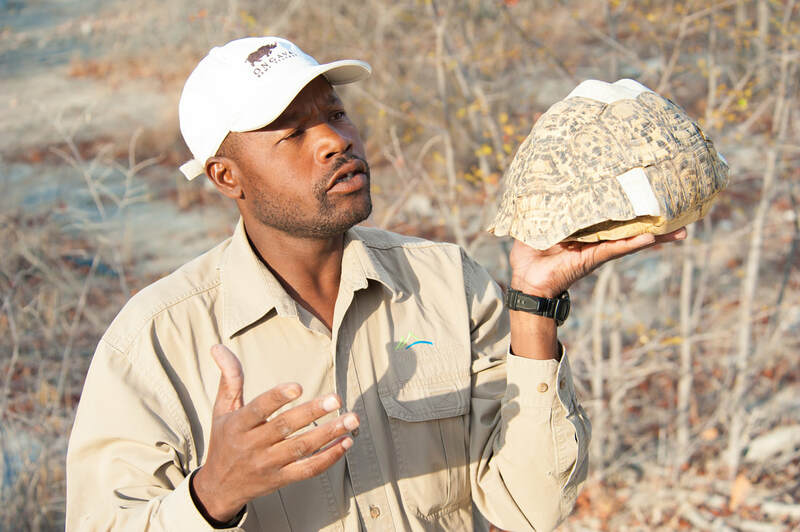 The highlight of our trip at Desert Rhino Camp can be read here. 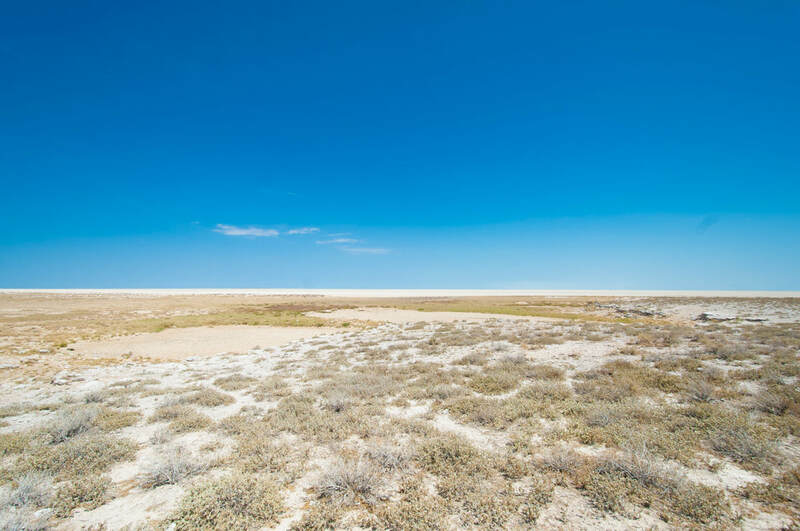 Our Dune 45 adventure in Sossusvlei can be read here.